I’ve been holding off blogging about my first ISTE experience because I haven’t been able to figure out exactly what I want to say but the further I get away from it, the more I know I’ll regret not just saying something so here goes nothing! 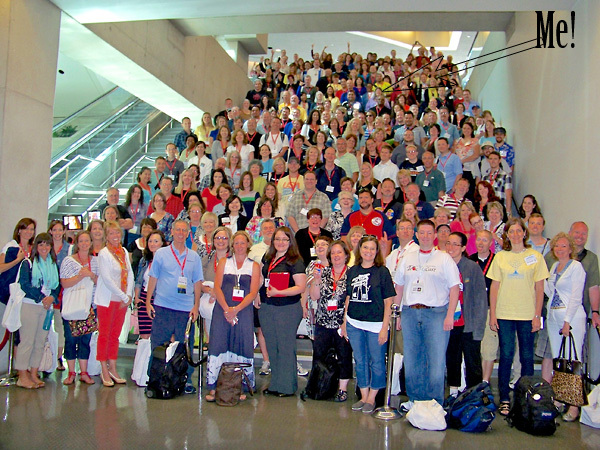 From the moment I decided to go to ISTE 2012, I knew I would head down a day early and take part in Social EdCon. I had followed this on Twitter in years past and wanted to join in on the fun. 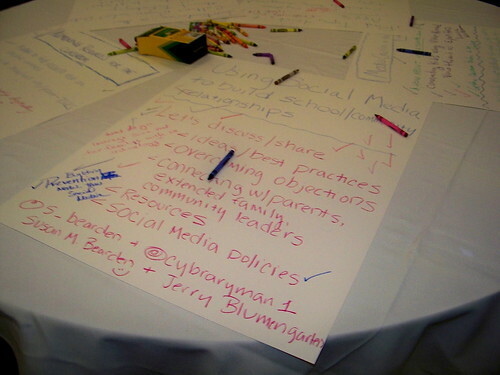 Having been involved in organizing some edCamps, I was interested in how the day would be organized. I loved the use of big poster boards for proposing sessions and the voting for each session so that popular sessions might be spread out during the day and not all scheduled at the same time. At California edCamps we haven’t really done any voting on sessions. There has always been room for all sessions that people wanted to do but now that I’ve seen this in action, I think voting on sessions would be a great idea just to spread out the most popular ideas throughout the day. I loved the use of crayons for this too – fun touch. Just being there to feel the energy in the room! Meeting and/or reconnecting with so many amazing educators – I’d try to name them all but I know I’d leave someone out so I’m not going to do it. Sharing the day and lunch with @teachseuss & @TeacherBandMom. Smackdown run by Vicki Davis who I finally go to meet in person! Unconference sessions – my favorite of the day was Grades Are Not Motivating I think in part because the group was small (apparently there was another group also discussing this one since no on really knew where Downstairs, Right was) so it was much more of a discussion than the previous sessions I had been in. All the sessions that I attended tried to be discussions but it was difficult to hear since the groups were big. Getting to be in the photo! See below. Meeting even more people at the Social EdCon After Party. Hanging out with the “cool kids” (@markwagner, @WendyGorton, @k_shelton, @alicekeeler & more) at the hotel bar after the Social EdCon After Party. Will I do it again next year if I make to the conference? You bet! This really is an awesome way to start off a conference.